This is my 500th post which makes it pretty evident that my life is a boring load of crap. 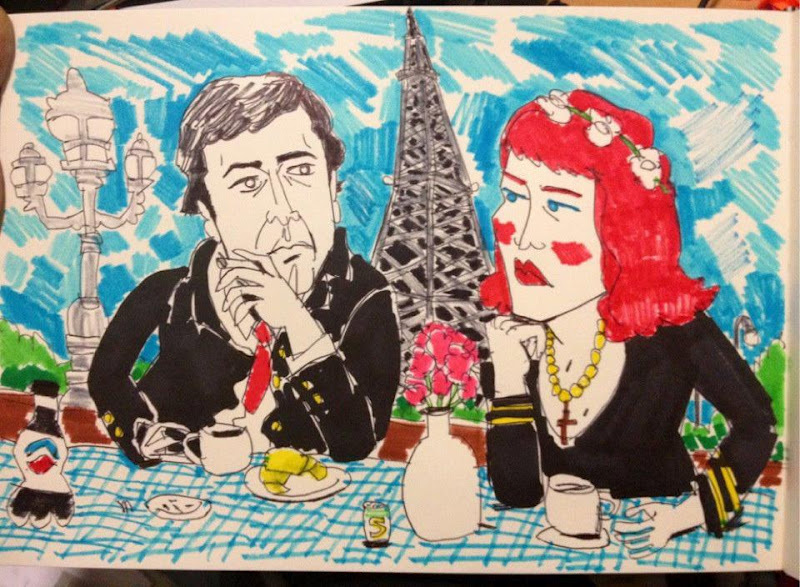 But, even if this milestone is arbitrary and meaningless I had to post something that packed a bit of punch - below is a drawing my friend Gonzalo did of me and 'His Royal Highness' Leonard Cohen. It is literally the best thing ever in the whole world and he gave it to me, and now I am going to treasure it literally forever. In real life it's 40 times better than the photo, too, so that gives you some idea. Here's to 500 more. ahah this is a really fun drawing :) i love it! and aww it doesn't mean that your life is boring ahha it means you actually take time to share what you love with the world, which is good! keep up the good work! cause i want to see more of it! Congratulations on your 500 posts and also that picture is gorgeous you look stunning. Your such a muse!